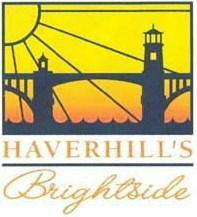 On Thursday, March 31, 2016 at 6:00pm at the Haverhill Country Club, Haverhill’s Brightside will be honoring individuals and groups, who have gone above and beyond in helping to make Haverhill a better place to live. Tickets for the event are $30 per person and may be purchased at the Brightside office room 205 in city hall or at the door. Appetizers will be served, raffles and cash bar. SPEAKER: Sgt. Matt Wray United States Marine Corp. GUEST SPEAKER: Barbara Macphee, bee-keeper & environmentalist from Holden MA, will present a power-point presentation on the bee population decreasing at an alarming rate and how planting certain flowers in gardens, planters and vegetable gardens will dramatically help to increase the bee population again. SPECIAL GUEST: Author Ellen Sousa of Turkey Hill Brook Farm, will have a book signing. Please join us in honoring these special individuals and groups for their tireless efforts in helping to make Haverhill a better place for all to live.